Perhaps one of the biggest fears teachers have when it comes to bringing yoga into their classroom is simply that the kids won’t buy it. 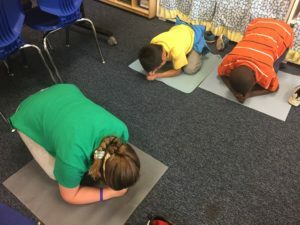 In the post below, third-grade teacher Stephanie Kennelly suggests a brief brain science lesson can help pave the way for students to embrace the yoga. Our thanks to 1000 Petals for letting us share this post, which originally appeared on their blog. All of this yoga stuff – my students will never take it seriously. Does this sound like a self-doubt you have faced when considering implementing Mindful Movement? As we begin the journey of teaching body work infused with social emotional learning, ensuring buy-in can seem like a daunting task. There is a fear that students won’t take the work seriously, and instead act silly, leaving the teacher to feel helplessly embarrassed. This fear is real. For many teachers, knowing how to begin the conversation and create a classroom culture ready for this work, can be the biggest hurdle. We recommend beginning with the facts. Begin with the brain science. Once students (and teachers) understand the “why” behind these techniques, the buy-in is almost automatic. 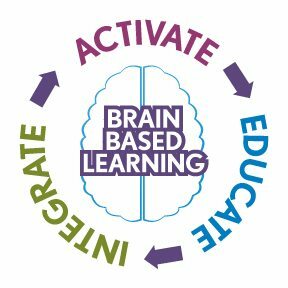 Even small children can benefit from this simple, interactive model of the brain from Daniel Siegel. 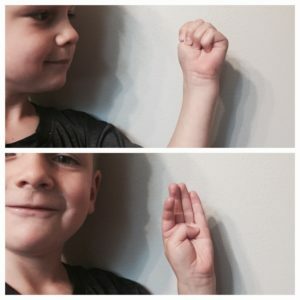 Begin by having everyone show a fist (thumb inside). This model serves as a visual for parts of the brain we want students to understand. The brainstem is what attaches the head to the spine. It is the first part of our brain to develop. The hippocampus is responsible for memory. What is the latin name for butterfly? What is the capital of Georgia? What is 4 x 6? Students rely on the hippocampus for academic success throughout the school day. The amygdala is the part of the brain that interprets the world through the five senses and constantly analyzes situations to ensure our safety. Someone drops a glass in the hallway and it shatters. The sound triggers the flight response as you atomically jump in your chair. This is the part of the brain that does the thinking and reasoning. It processes the memories, the sensory inputs and makes logical decisions based on past experiences.When students feel calm, the amygdala passes information to the prefrontal cortex, which passes to the hippocampus. All of the parts are working well together. However, we have all heard the phrase, “blow your top”. At this point, students shoot their four fingers up into the air, exposing the thumb (amygdala). This metaphor perfectly illustrates what happens when the amygdala senses danger. It stops communicating with the prefrontal cortex and the brain is now in “survival mode”. Survival mode is great when… well, we need to survive. 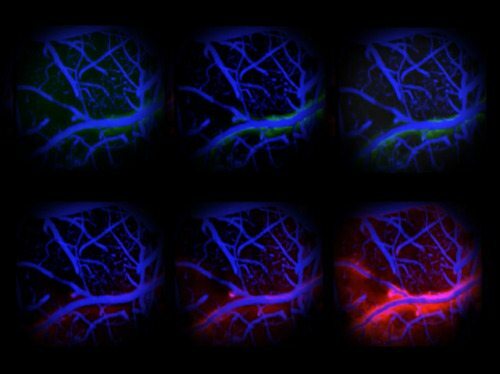 However, we run into problems when our amygdala interprets something like- getting budged in line, as a survival situation. This brings us back to our “why”. Through Mindful Movement we are using breath and movement in specific, meaningful patterns to sooth the amygdala, and the stress responses. To know that you have control over your mind and body is the ultimate power. Once students have this realization and experience it for themselves, they often want to return to this relaxed/alert state. The work sells itself. Have you explained the brain to your students as a justification for Mindful Movement? What has worked for you? Leave a Comment! I like this and will try it with the older children. For younger children I came up with a technique to help restore or explain peace (mindfulness) in the classroom. I too use my hands, but in a different way. I hold up my 2 open hands in a relaxed way (fingers slightly curved in) and the children can see that there is a certain harmony between them. Then 1 hand gets aggravated & it forms a fist. 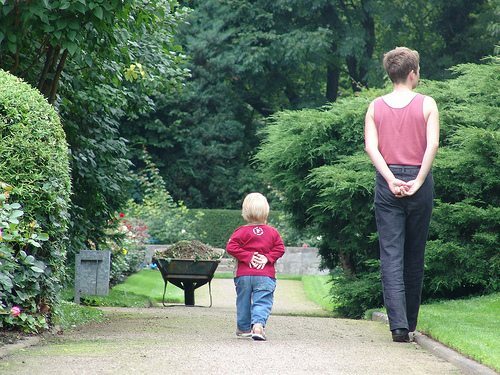 I move the fisted hand towards the open hand and the open hand straightens, and backs away (feeling fear, threat, or hurt), sometimes hiding completely behind my back. The fisted hand remains alone and through my facial expression, the children realize that it is unhappy while alone. 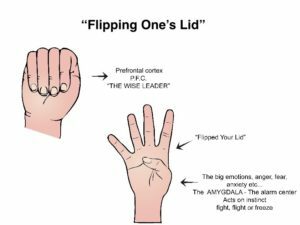 Sometimes the open hand can become a fist, and when the 2 fists are face-to-face there is a very tense, negative feeling (I kind of shake my fists, vibrate them, to show the agitation) – here an argument could transpire. Then I slowly open 1 hand and have it “listen” to the other. Eventually the fisted hand opens and again there is peace. It’s a bit tricky to describe in words, but the result is always powerful. I love to teach mindfulness – I believe I’ve been teaching it long before it was known as such! This is wonderful, easy way to understand the brain and the stress response. It is important to teach how to use the breath and self-talk and movement to the “lid” closed again. I have used it with children/teens of all ages.